Welcome to MyDigitalSSD.com We invite both customers and manufacturers to experience the difference MyDigitalSSD products make in devices ranging from notebook computers to DSLR cameras to HD camcorders and more. 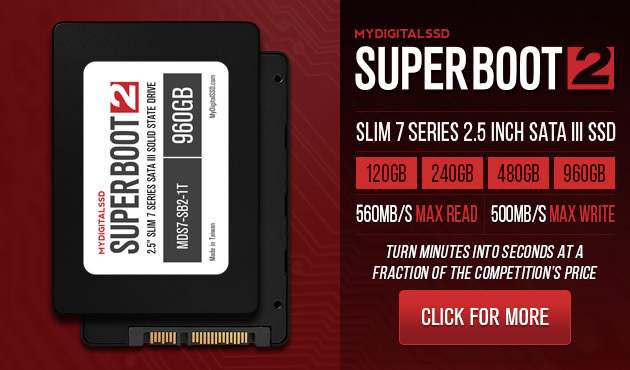 MyDigitalSSD showcases a variety of flash-based products that offer the performance and reliability of other bigger name brands while maintaining the best price-to-performance ratios on the market today. Check back regularly for the latest news and breakthroughs on our exciting new data storage technologies in the computer hardware and mobile device industries. Indeed, there is something for everyone at MyDigitalSSD. 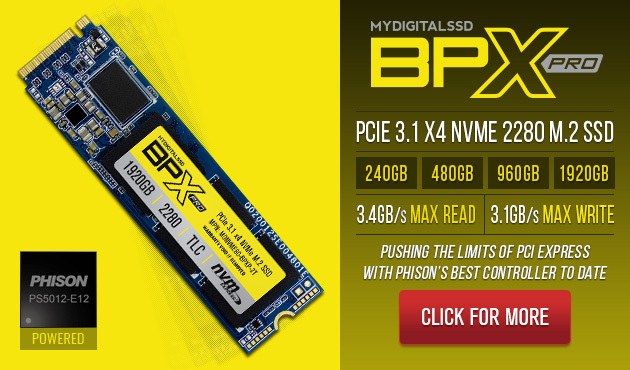 Push the limits of PCI Express with MyDigitalSSD BPX Pro PCIe 3.1 x4 NVMe M.2 2280-S3-M solid state drives featuring the Phison PS5012-E12 (E12) controller. 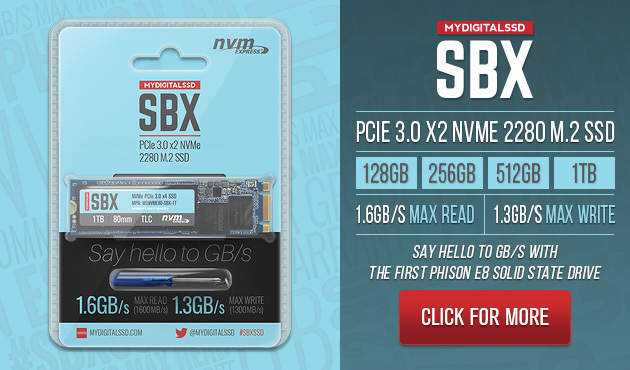 Say hello to GB/s with MyDigitalSSD's new SBX series of PCI Express 3.0 x2 solid state drives featuring the Phison PS5008-E8 (E8) NVMe controller. Super Boot 2 SATA III solid state drives eliminate long boot times and slow loading applications while boosting overall performance and reliability with R/W speeds up to 560MB/s. 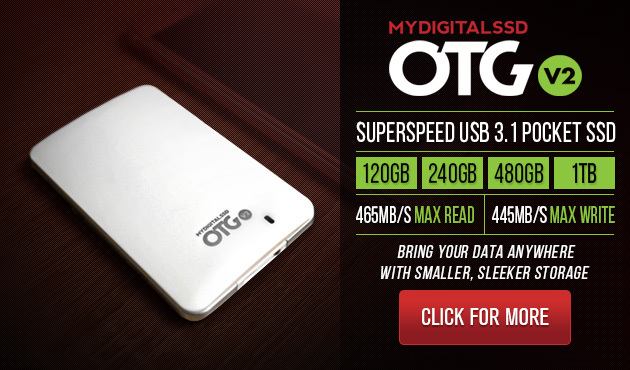 MyDigitalSSD's award-winning pocked-sized external SSD is back with a smaller, sleeker, and lighter design plus real SSD speeds up to 465MB/s!